"We leave no one behind!" CJ Entertainment has debuted another new official trailer for the war film titled Battleship Island, or also The Battleship Island, from director Ryoo Seung-wan. 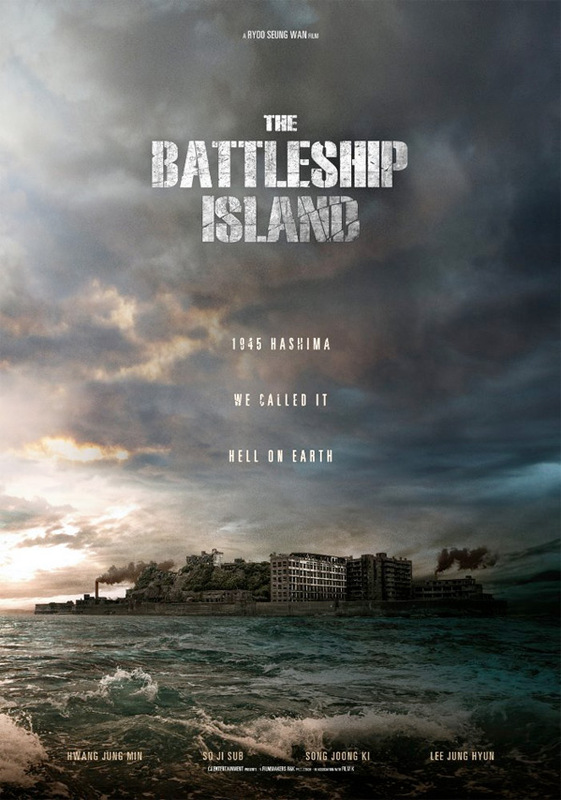 Set during the Japanese occupation of Korea in 1944, the film is about the 400+ Koreans that were conscripted into slave labor mining coal on an island known as "Battleship Island". The story goes that they attempted to band together and make an escape. The main cast includes Hwang Jung-min, So Ji-sub, Song Joong-ki and Lee Jung-hyun. The first teaser trailer we posted was already impressive, but this new trailer packs in tons of action and emotion. It's a strong sell for the film, I'm definitely curious about seeing this. Take a look below. You can still watch the original teaser trailer for Battleship Island here, to see more footage from this. 1944, during the Japanese occupation of Korea, conscripted civilians head out to the Hashima island. Nicknamed 'The Battleship Island' after its resemblance to a war vessel, some are lured by false promises of high wages. Lee, a bandmaster of a jazz bigband and his only daughter, Choi, a thug, and Mallyeon are among the workers. But upon arrival, they found that the island turns out to be an isolated hell where the workers are forced into slave labor. As the Pacific War nears its end, Park, a Korean independence activist assigned on a mission to rescue a Korea's spiritual leader from the island. Battleship Island is directed by Korean filmmaker Ryoo Seung-wan, of Veteran, The Berlin File, The Unjust, and The City of Violence previously. CJ Entertainment will release Battleship Island in US theaters starting August 4th. Thoughts?